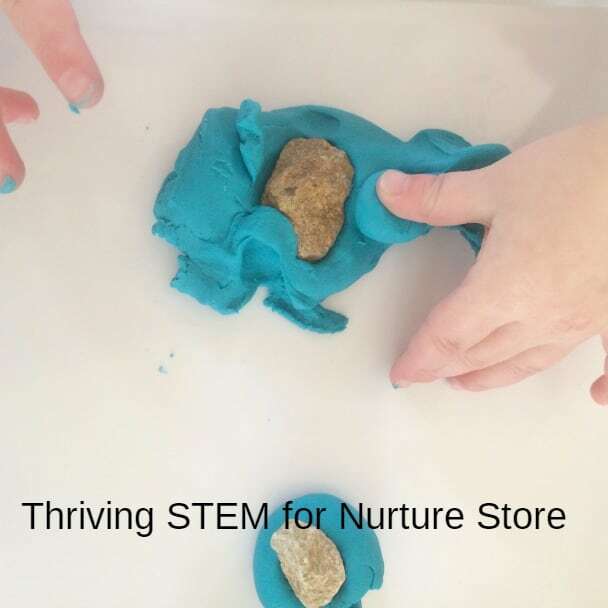 Christy from Thriving STEM combines play dough and natural materials for today’s edition of our ABCs and 123s series – she’s teaching counting with rocks! I’m delighted to be joining in the wonderful ABC’s and 123’s series here at NurtureStore today. My two-year-old and I tried out this play dough counting exercise when brother and sister were home on spring break. All three children were sitting at the dining table hard at work. There are so many ways to learn with play dough! 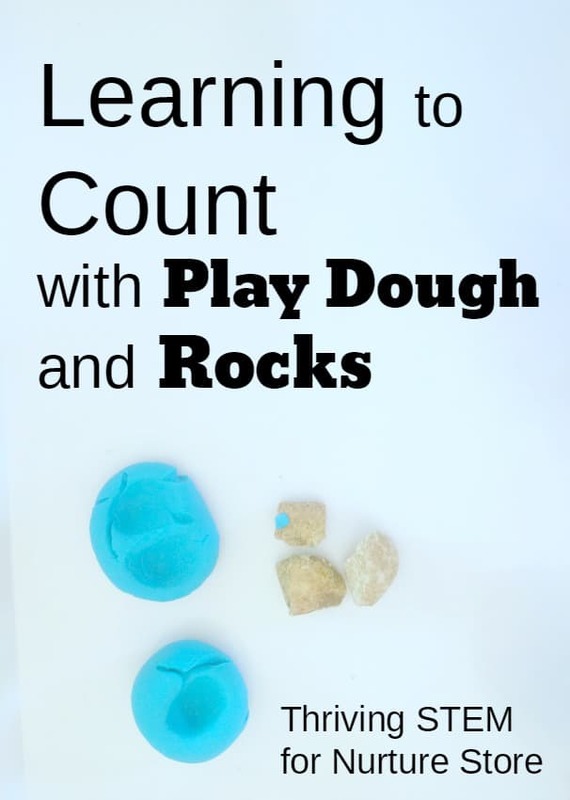 Play dough is one of my little one’s favorite activities, so it was a perfect way to introduce counting. This was one of her first lessons in math. A week or so before we did this activity we went rock hunting. After we found ten or so especially nice ones, we washed and dried them. Adding nature elements always makes the activity more engaging. When we were ready for our activity, I grabbed five of our rocks along with our blob of play dough. After she had a few minutes to play, I rolled a couple of balls. In the first I made one finger mark, and in the second, I made two finger marks. I made a third with three, but it turned out not to be useful yet. We stopped with two since we are just beginning to count, but this activity will extend nicely all the way up to ten. This type of activity allows her to formulate the concept of what “one” or “two” represents, rather than just learning words without meaning. I made a more permanent counting toy to keep on her toy shelf with the rocks, and we’ll repeat this at play dough time. If this afternoon’s events are any indication, play dough time will be back soon. Christy McGuire is an experienced physics teacher who loves sharing adventures in science and math with her own children. 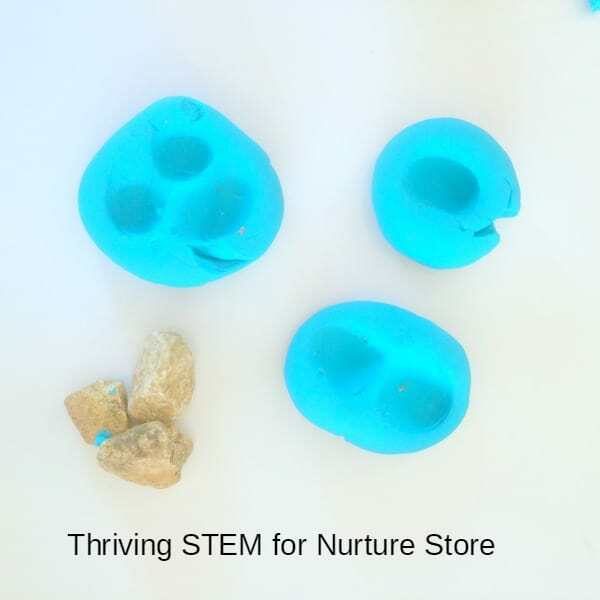 She shares their adventures and practical ideas for science and math education at ThrivingSTEM.com. 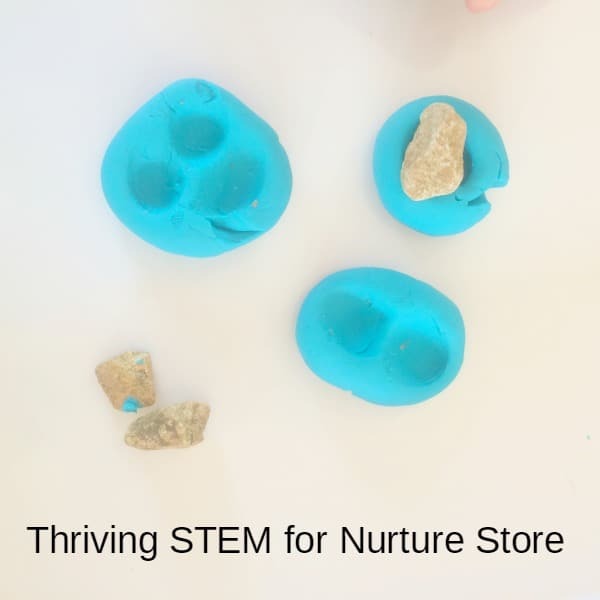 Click here to receive her monthly newsletter with their latest and seasonal STEM education ideas for teachers and parents.